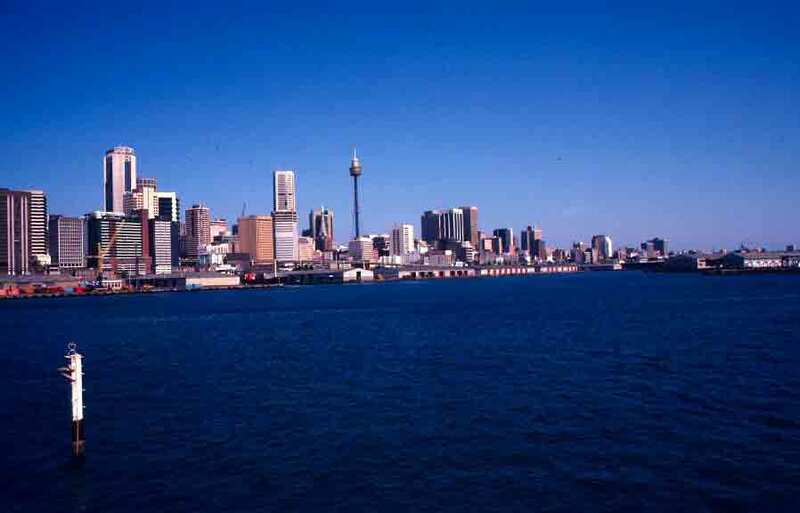 Most of the photos I’ve shown so far of Sydney in relationship to the city’s harbor have featured tree-covered hills and dramatic sandstone cliffs. I thought the photo below did a good job of showing why one site was chosen over others for the initial settlement. It’s flat. Soaring headlands, precipitous cliffs, and even rolling hills didn’t suggest “stop here” for the first settlers, but a freshwater stream and a bit of flat land did seem promising. Departing Morton National Park, on our way back to Sydney, we passed through lovely Kangaroo Valley. This broad, green valley is a great jumping off point for touring the area, including Morton Park, but also offers enough beauty and history to make it worth visiting for itself. Aboriginal sites, rock formations, and miles of walking trails make it a great place to wander. The abundant flora and fauna are also attractions—though you have to be careful when driving from early dusk and after dark, as wallabies and wombats are often on the road once the sun sets. 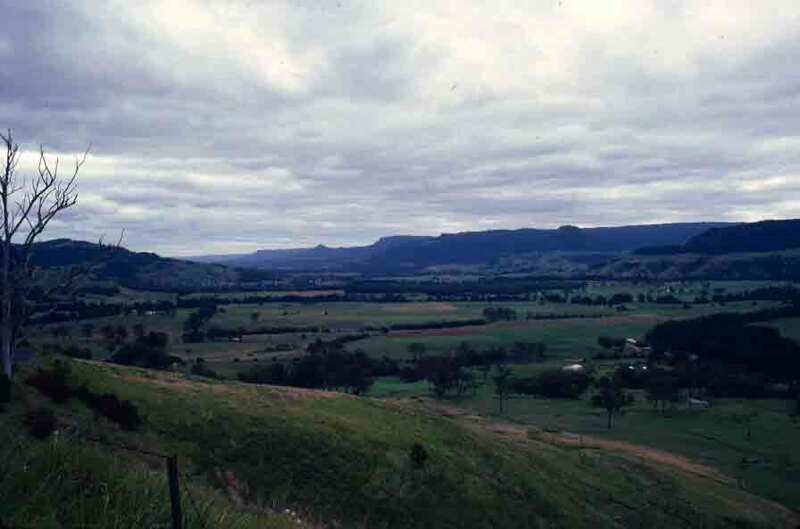 Long a gathering place for local Aboriginal groups, Kangaroo Valley began to attract European settlers in the early 1800s. The village of Kangaroo Valley, with a population of just over 300, has worked to retain its charm, and many of the buildings are listed in the National Trust. One of the more surprising sights in the valley, as one rolls amid rocks and greenery, is Hampden Bridge. It is more imposing than one might expect in this sparsely populated, rural setting. The bridge (on the right below) was built in 1897. It is the only suspension bridge to have survived from Australia’s colonial days. The 250-foot bridge spans the Kangaroo River. 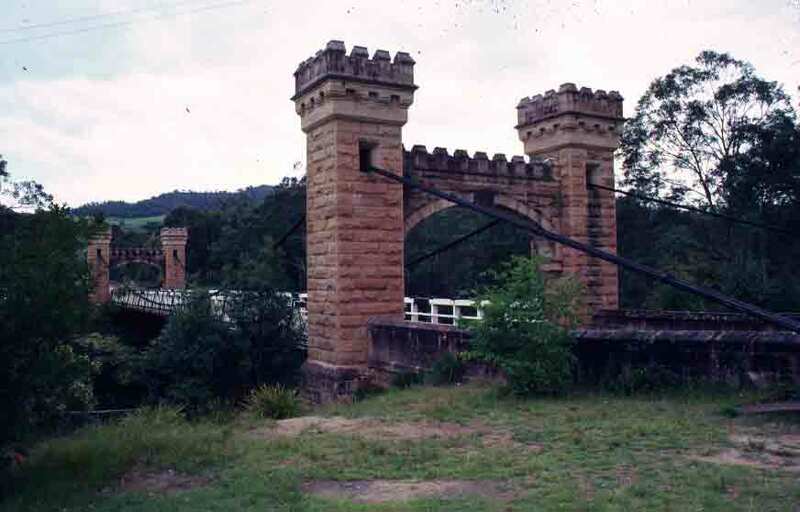 The bridge was named for Lord Hampden, who was the governor of New South Wales at the time of the bridge’s building. I’m sure almost everyone has heard about the terrible flooding in Australia over the last couple of weeks. There are videos, photos, and reports all over the Internet, so I won’t repeat it all here, but I do want to say that my thoughts and prayers are with you all in Australia’s north — friends and strangers — during this difficult time. Aussies are great at putting a good face on things, handling hardship with wry humor, but it’s still tough to have everything washed away. Seeing videos of parking lots being cleared of cars by the swiftly rising waters makes it pretty obvious that this is something that will take a bit of time to sort out. I hope things improve more rapidly than you expect.